Guangxi offers beautiful natural landscapes and unique karstic rocks, such as the imposing waterfalls of Detian on the border with Vietnam, or the sublime and renowned rice terraces of the Dragon’s Back. The region is home to a large number of caves, nature reserves and coastal landscapes where nature is lush. The river walks and the visit of the many nearby minorities (Miao, Bai, Zhuang …) make the discovery of Guangxi a relaxing and culturally enriching journey, to the rhythm of Chinese legends. 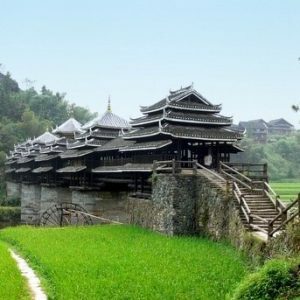 Finally, the border regions with Vietnam, Guizhou or Hunan present unique natural and cultural riches in a particularly preserved atmosphere. The route of this province offers varied landscapes for an authentic Chinese experience. Guangxi is a mountainous region with some plains scattered here and there. Karst peaks formed by erosions dating back thousands of years characterize the landscapes of Guilin and Yangshuo. These are undoubtedly the two cities not to be missed during a stay in the region. To please your eyes, cross the Li River, often compared to a jade ribbon flying over atypical hills. The importance of the culture and traditions of the indigenous people should not be neglected, which is reason enough to discover a city such as Guilin and more remote villages like Ping’an or Zhaoxing. Guangxi is a province in southwestern China covering more than 230,000 square kilometers. It shares its northern borders with Guizhou and Hunan, its western border with Vietnam and Yunnan, its eastern border with Guangdong, and finally the south overlooks the Gulf of Tonkin. The topography of the province is mountainous, although the highest peak of Guangxi only reaches 2141m. The mountains, in “bread of sugar” are of particular forms and sources of inspiration of the Chinese legends since the dawn of times. The Guilin region, and especially Yangshuo, is famous for these karst peaks. The province is crossed by many rivers such as the famous Li River and its magnificent shores. Guilin is equipped with an airport but there is no direct flight from France. It will be necessary to stop in Shanghai, Beijing to see Canton or Kunming, closer. From Nanning, the capital of Guangxi Province, the roads are pretty good. To move from one city to another, you can rent a car, take the bus or hire a chauffeur. Inside the towns and villages, prefer walking or cycling. 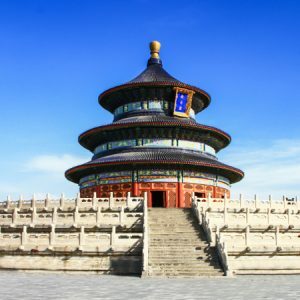 There are now many fast trains from Guiyang or Guilin, to the rest of China, Guangzhou and Shenzhen (and so Hong Kong) is now only 3 hours from Guilin and Yangshuo. Guangxi Province has a climate that can be described as subtropical. Summer temperatures are between 23 and 29 degrees, while in winter it is between 6 and 16 degrees on average. Almost all the rain falls between April and September. The showers are therefore frequent but the temperatures rise high and the humidity is high. June is usually the hottest month with temperatures ranging from 25 to 30°C while the coldest month is January with temperatures between 5 and 15°C. The rainy season runs from April to September. For more information, see the Guangxi Weather page. Guangxi has about 49 million inhabitants. 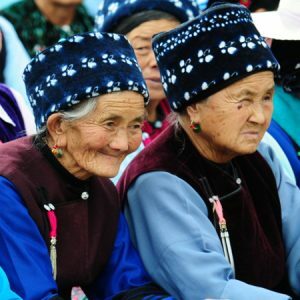 About a third of the population comes from different Chinese minorities, of whom the Zhuang are by far the most numerous. There are also Yao, Miao, Dong, Shui, Yi, Maonan and Gelao. Guangxi is characterized by the diversity of its culture, including the presence of Cantonese culture, because of its proximity to Guangdong. True ethnic Zhuang, the dialect of the ethnic group is classified as the official language of the province with Mandarin. 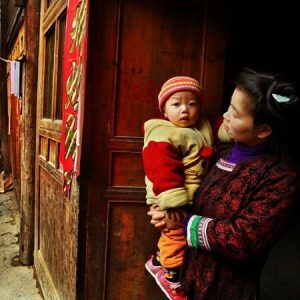 Hidden atop the mountains, small villages are home to ethnic groups little known in China. The inhabitants still live according to the most traditional customs of their ethnic group. A real breath of fresh air. They still wear the costumes and headdresses of yesteryear. They offer folkloric dance performances on the street and your visit will never go unnoticed. This attention is never negative and you will often be invited to share a special moment with them. It was in 214 that most of the province became officially Chinese. In 1958, Guangxi was officially named the Zhuang Minority Autonomous Region, after being integrated into Communism of the People’s Republic of China in 1949. After this date, the local industry made considerable progress. Agriculture remains the major industry but metallurgy, sugar manufacturing, electronics, cement … are also part of Guangxi’s revenue sources. Also note that in March 1885, the border with Vietnam (Youyi) was the site of the Battle of Zhennan during the Franco-Chinese war. French forces attempting an incursion into Chinese territory were routed by General Feng Zicai. 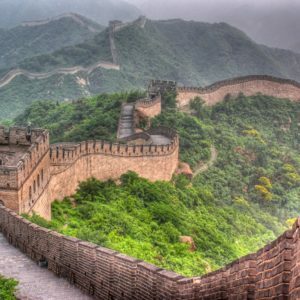 When to travel to Guangxi? You will find detailed information on the weather in Guangxi: Guangxi weather. Where to stay in Guangxi? Known for its rivers, caves and elevated karst formations, Guangxi has plenty of places to stay. You’ll have something for every budget, from small B&Bs of incomparable charm to large hotels located in the city center, near the main sites to visit, or in the surrounding countryside. That’s why we have selected for you the best hotels in Guangxi, combining comfort and quality of services.